When former Ukrainian President Victor Yanukovych decided to postpone an EU Association Agreement, few would have predicted that this would lead to a prolonged conflict in Europe’s borderland. Since the beginning of the confrontation, a lot has been written about its root causes, the motivations of the main actors, and possible scenarios for the future. 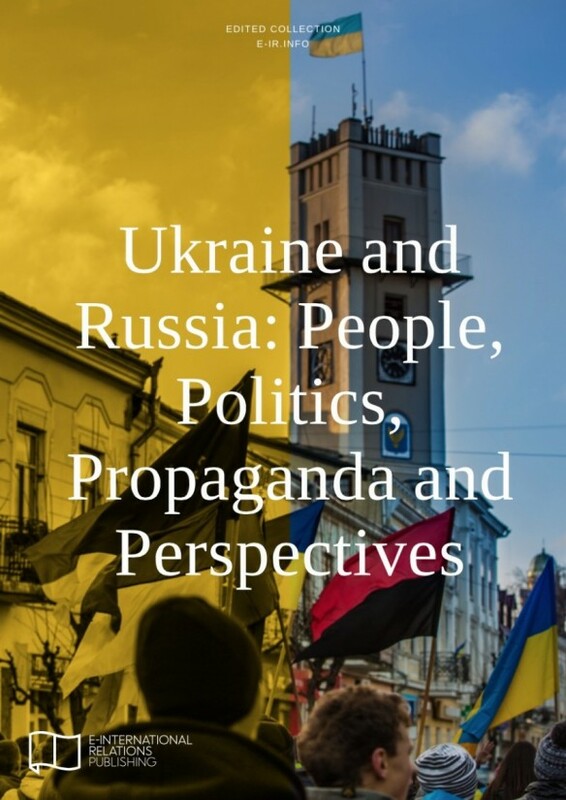 However, few have looked at what came to be called the ‘Ukraine crisis’ from the point of view of Russo-Ukrainian relations, and grasped the perspectives of various groups involved, as well as the discursive processes that have contributed to the developments in and interpretations of the conflict. The authors of this Edited Collection each present a facet of the intense and dangerous turmoil provoked by the breakdown in relations, and thus contribute to a deeper understanding of a crisis that now afflicts both European and global affairs. Note on transliteration: the editors of this collection decided to use the more common, anglicised, version of Russian and ukrainian words in order to make the publication readable for a diverse audience. Please note that in the case of the word ‘donbas/donbass’ we left the choice of transliteration to authors’ discretion. The intense and dangerous turmoil provoked by the breakdown in Russo-Ukrainian relations has escalated into a crisis that now afflicts both European and global affairs. Since the beginning of the confrontation, a lot has been written about its root causes, the motivations of the main actors, and possible scenarios for the future. However, few have looked at what came to be called the ‘ukraine crisis’ from the point of view of Russo-Ukrainian relations, and grasped the perspectives of various groups involved, as well as the discursive processes that have contributed to the developments in and interpretations of the conflict. Edited by Agnieszka Pikulicka-Wilczewska & Richard Sakwa. Contributors: David Marples, Nicolai Petro, Olga Onuch, Denys Kiryukhin, Greta Uehling, Ivan Katchanovski, Mikhail Pogrebinskiy, Andrew Wilson, Taras Kuzio, Marlene Laruelle, Peter Rutland, Edward W. Walker, Mark Galeotti, Paul Chaisty, Stephen Whitefield, Elena Chebankova, Stephen Hutchings, Joanna Szostek, Marta Dyczok, Mikhail A. Molchanov, Richard Connolly, Paul D’Anieri, Edwin Bacon, and Alexander Osipov. Free ebook can be read/download from here.